JobMob helped many, many people in 2008 and the best is yet to come. Let's take a look back and hopefully you can discover something helpful that you didn't even realize was already here. An American soldier in Iraq, an Indian hotel worker in Dubai…taking a look at the long list of comments gives you an idea of how much this article meant for people considering aliya and people hoping to come to Israel from third world or developing countries, mostly in Asia. 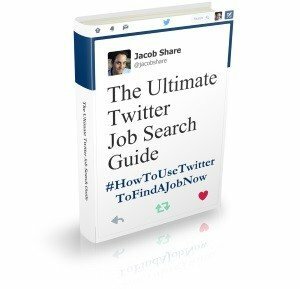 Most of my article ideas come to me well in advance of the moment they appear on JobMob but when this one came to me, I knew I had to get it out to you as soon as possible. I had already collected some of the cartoons in my bookmarks and spent a few more happy hours searching through comic and cartoon sites looking for more. This was another article whose creation was very quick as I was looking forward to how people would react. For my efforts, I was rewarded with this article having one of the most fascinating comment discussions of any JobMob article to date. The article took over 4 days in total to write but well over a month from start to finish if you count breaks. Every time I thought it was done, I would discover some new source of reputation-oriented websites and plan to add them in. However, it was taking so long that (rarely for me) I even started to wonder if I would ever finish it. And I haven't! It was originally a “150+” list, but I'll keep growing it as I discover relevant links to add in. Employed or not, spend at least 30 minutes per day actively reinforcing your brand and growing your network through the activities listed in this article. There are now 3 times more of you than there were when 2008 began. Thanks for being a loyal reader, and I hope to hear more about how I can help you in 2009. 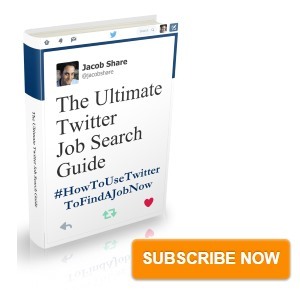 Subscribe to JobMob via RSS or email and follow me on Twitter for the best job search advice for you. Congratulations on all the success. And just think of all the people you have helped and supported throughout the last 12 months. Too bad they don’t have a stat for that! It would be big . . .
Here’s to similar growth for you in 2009. Thanks Tim. One of the first ideas I had for JobMob was to have a counter like McDonald’s ‘X Billion Served’ only with regards to how many people I’d helped find jobs, but I dismissed it right away as impossible and not too useful. In reality, the numbers are always just a fraction of the reality and you can find many bloggers (with much bigger blogs) that have shown as much. People will email to thank me or say so in comments but I also get a lot of feedback by using some of the tools I mentioned in the 170+ Resources and Tips To Help Manage Your Reputation Online like Google Alerts and Twitter Search. Congratulations on the ongoing success of your blog Jason and the great content summarized above. Keep up the good work! Your blog is a valuable resource.